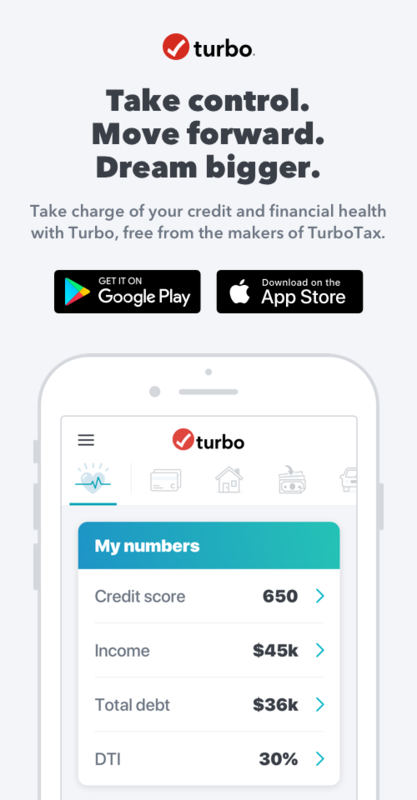 Our Turbo blog recently published an article highlighting the top reasons why people are in debt along with suggested fixes and next steps. Can you relate and have you gone into debt for any of these reasons? If so, where are you on your debt journey? People go into debt everyday for a number of different reasons and whether you’re looking for advice or you’ve been through it yourself, we would love to hear from you. Getting out of debt, regardless of just how deep in debt you may be, is a six step process. I've also included 3 additional steps for building wealth, once the first five steps are completed. Basically, steps 7, 8 and 9 are done pretty much in unison with each other. Step 1 - STOP DIGGING! If you really want to get out of debt, then the absolute first thing you must do is stop digging that debt hole deeper by acquiring more debt. That means cut up all the credits cards. All of them. No exceptions. Now keep the debit cards, as they won't work for you if you don't have the cash in the account they are tied to. But the credit cards have to go. Step 2 - List all of your debts smallest to largest. Ignore interest rates. They flat out don't matter really, for what you're doing to reach the desired end goal. Do not include your mortgage in this list. However, if you have an "equity loan" commonly referred to as a Home Equity Line of Credit (HELOC) then do include that in your list. Step 3 - Put into a savings account, a $1000 "emergency fund". What's the definition of an emergency fund? Simple. If not using that $1000 means that you will be eating your next meal out of the dumpster behind the neighborhood McDonalds, and sleeping that night in a cardboard box behind that dumpster, then you have a valid emergency. Anything less is not an emergency. Step 4 - Stop ALL contributions to any and all retirement accounts. Understand that this is not forever. It's only for the short term so you can use that money to pay off your debt. Step 5 -Take a look at that list you made in step 2. You start with the smallest debt first. Make the absolute minimum payments on all other debts, then throw every single remaining penny you can scrape together at that smallest debt. Once that debt is paid off, the second smallest debt now becomes the 1st smallest debt. Now that the first debt is paid off and that payment doesn't exist anymore, you have even more money to throw at your "new" smallest debt, thus paying it off sooner than you may have thought possible. Now there is one exception for step 5 here. If you owe the IRS back taxes, I don't care where they may fall in your list of smallest to largest. You pay off the IRS *first*, no matter what. You don't need that monkey on your back, as if the IRS comes after you, they will not give up - even after you die they'll go after any assets you have, and they *will* get their money before your heirs get anything. Step 6 - Build your $1000 emergency fund to 3 to 6 months of living expenses. Just exactly how much you need, depends on your situation. But at a minimum you should have at least 3 months of living expenses in a savings account or other investment that you or your family can get to "quickly" should anything happen to you and you are unable to work. Step 7 - Reestablish contributions to your retirement account(s). For most, they reach this step within 5 years of starting this process. Step 8 - If you have kids or believe you will in the future, time to start the college fund. Step 9 - Use all excess money to pay off the house, if you have a mortgage. Generally when a family/person who owns a house reaches this step, if they have a 30 year mortgage they have on average, 22 years left on that mortgage. Simply doubling your house payment means that on average, you will pay off that mortgage in 7 years, give or take depending on the interest rate. I've known some who paid off their mortgage in less than 3 years. Would love to hear more about your journey. When you mentioned the first challenge in your message, are you referring to @Carl's suggestion to stop digging? Cutting back on spending can be tough for a number of different reasons. Anything specific that you feel has been tough for you to stick to that habit? It's not a challenge really. It's the first step. If you look at it as a "challenge", chances are fairly high you will lose that challenge. Instead of calling it a challenge, call it what it really is.... a commitment. If you can't commit to step 1, everything after is a waste of time and a moot point. Soo... Dave Ramsey's Total Money Makeover? I'm not saying it doesn't work, but give credit where credit is due. Worked for me, and for several friends of mine I referred as long as 5 years ago while I was on my journey to being debt free. For me, it was well worth 3-5 years of sacrifice for a lifetime of what I refer to as "financial peace". If I were to die today, my wife's standard of living will continue on with the only change being that I'm no longer in it. For me, that's real peace. My Family debt freedom journey started Jan 2016. 116k in debt and a 1 year old . Student loans, credit cards, personal loans from past attempts. As of today, no new debt gained outside the cost of home births, and one major medical event. We are great at not taking on new debt. Even paid off one of two cars. Our struggle is not sticking to a budget but finding numbers for our now family of 3 kids and 2 adults that are practical to our situation. I mentioned a paid off car. We wanted 33% of that now gone car payment for a class and the rest for our debt plan. We are a single income family and I make 95k per year and have always gone up about 3% a year. We stopped the 401k. The value of our home in 2016 was 140k. Today with no actions of our own it's now at 216k on Zillow. I still owe 102k on my home and 50k to student loans a personal loan and one car. Change nothing and surly will be debt free in 2020. Get serious and I bet we could pay off our debt in 1 year leaving mortgage as the only debt. Could also try and sell our home now (houses in my hood last 1-2 months when up for sale) and have no debt and I'm guessing about 10k in the bank to get started. We do have a mix of 401k, Roth, Roth/IRA worth about 45k. My wife and I are 31 and 35. Our kids are 4 months, 2 year 6 months and 4 year 5 month old. We crave a vacation and financial freedom but oddly enough as far as we have come still can't operate a frugal budget. Hey @wiredjack! Great post! thanks for the transparency! I resonate with where you are in life as I am in a similar situation. In fact, seeing how old you are, with kids and what your debt range is gives me the ability to really trust where you are coming from as I am 35 and have two kids and a mortage. Do you think this would be helpful knowledge to have as you look for advice from others?